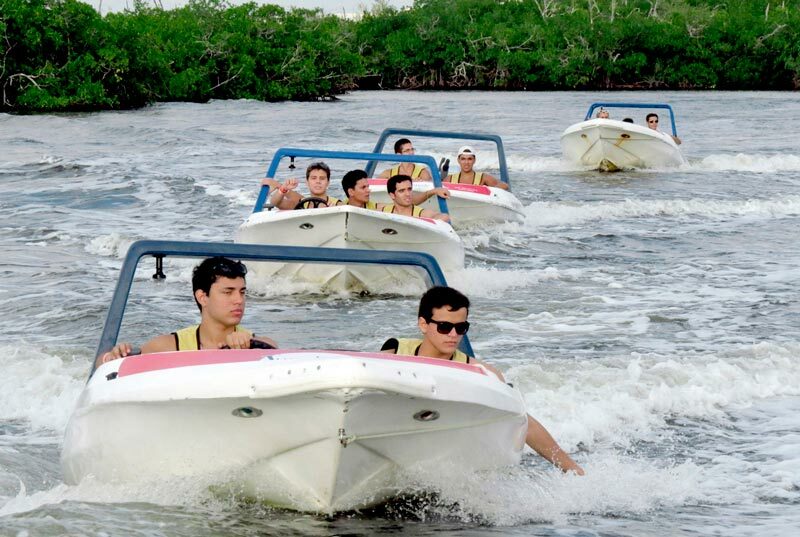 Jungle Tour Cancun- 2 top tours at a time! 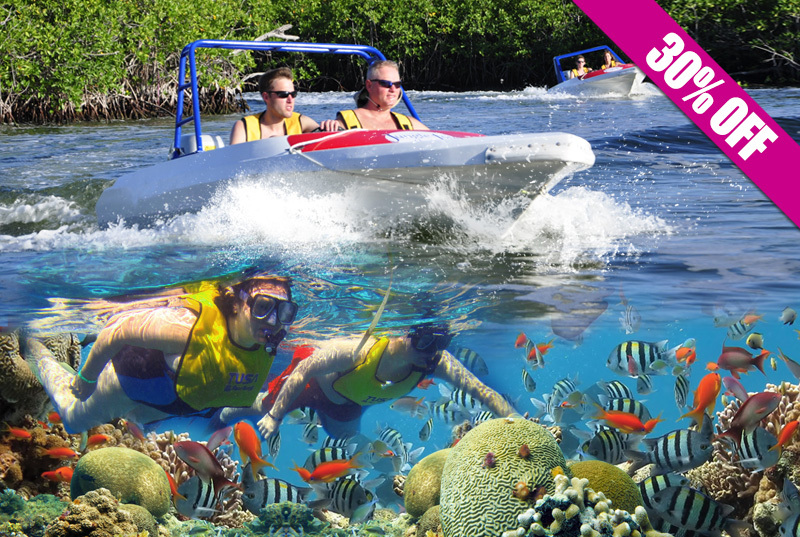 Boat tour along the Caribbean sea + 45 minutes snorkeling on the reef, the best Jungle tour in Cancun is this! 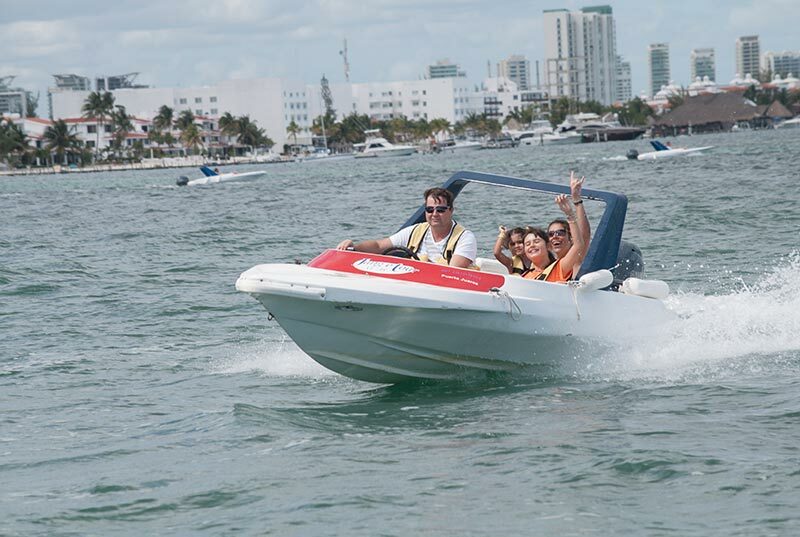 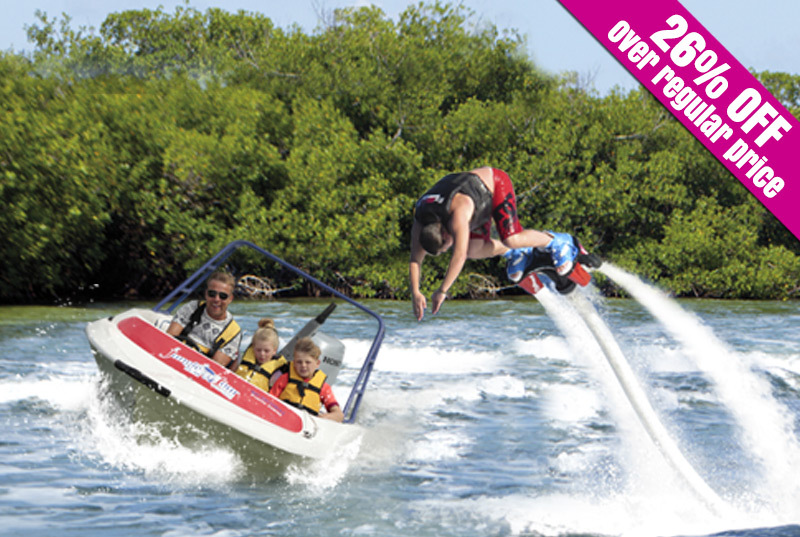 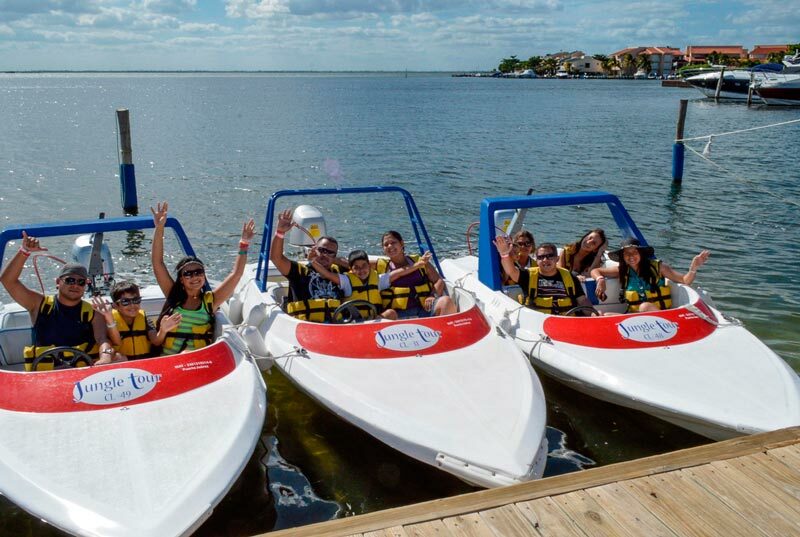 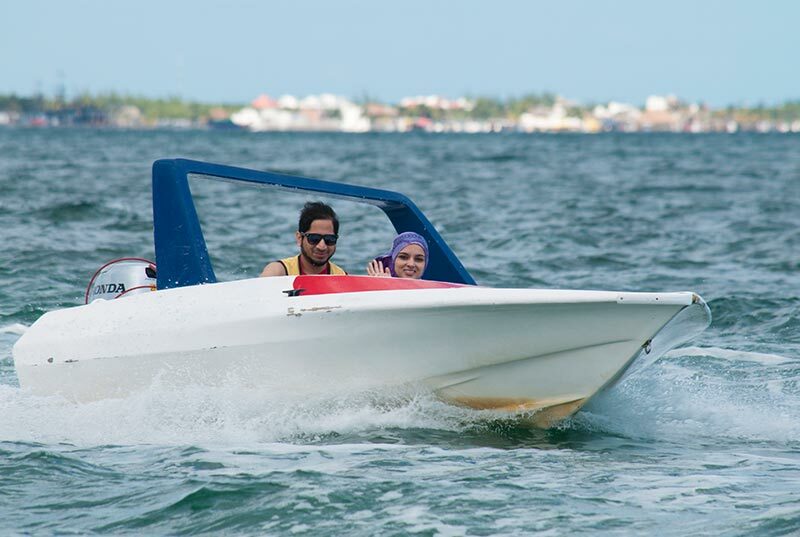 The Jungle Tour has become a classic water sport in Cancun.This tour offers you the incredible oportunity to ride your own speed boat in Cancun's beautiful sea. 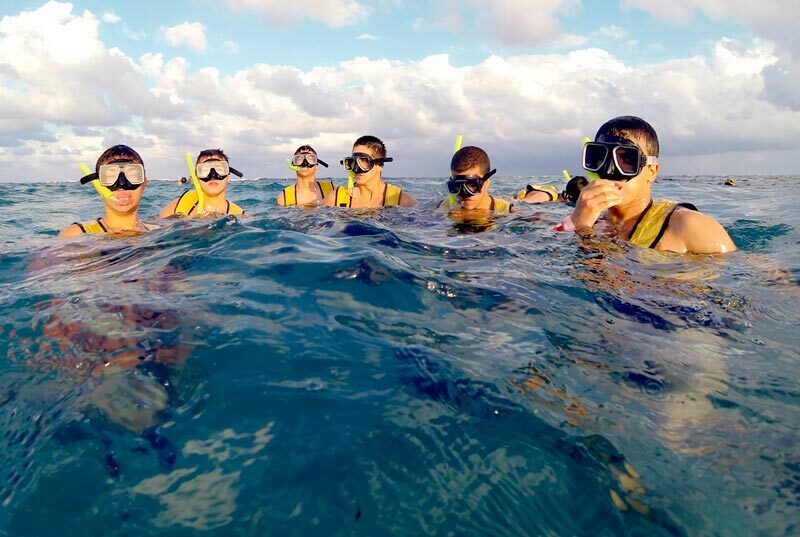 During your Cancun Jungle Tour you'll also enjoy snorkeling on Punta Nizuc coral reef. 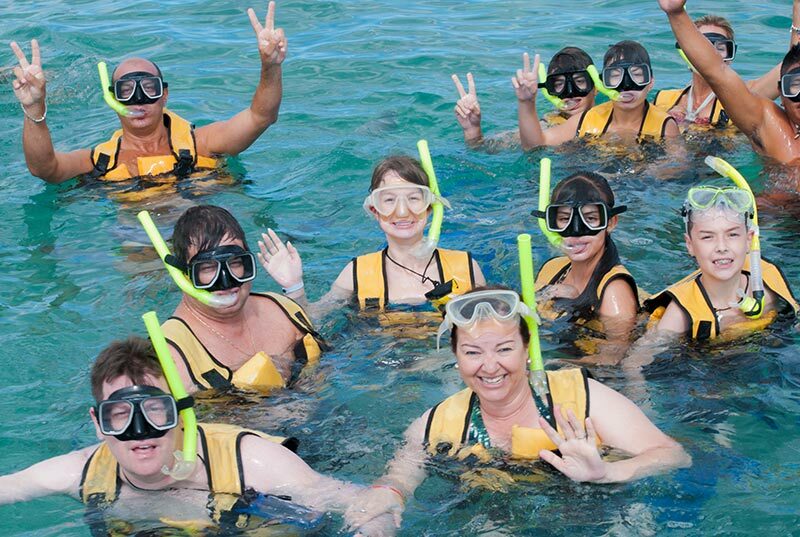 Book now, you don't want to miss this activity in Cancun!